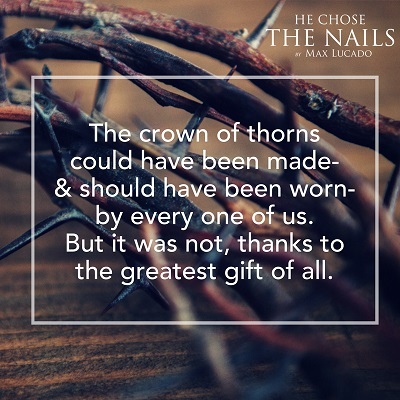 Welcome to session 1 of He Chose the Nails, a five-week study that explore the season of Lent as an extension of Christmas – a season of receiving the most precious gifts a person could ever receive – the gifts that God graciously gives us through his Son. 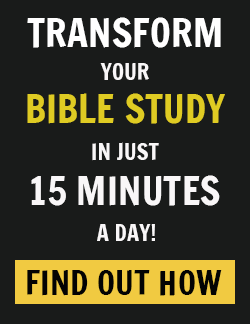 In this study, you will discover the many gifts that Christ provided to us at his crucifixion. These include not only the gift of the cross, but also the gift of the thorns that pierced his brow. The nails that tore his flesh. The seamless robe that he removed for us. The empty tomb where he forever defeated sin and death. The gifts of Easter are the most precious gifts any person could ever receive because they cost God so much to give. God’s greatest gift of all — His greatest act of love for us — was sending Jesus into our world. Timelessness: Jesus swapped eternity for calendars. The Bible tells us God is “beyond our understanding! The number of His years is past finding out” (Job 36:26) There is no moment when God was not God, for He is eternal. Boundlessness: Jesus gave up being a spirit to live in a body. One moment He was a boundless spirit; the next moment He was flesh and bones. Sinlessness: Jesus became sin for us. An object that symbolizes the consequences of sin in humanity’s heart is a thornbush (see Genesis 3:17-18; Numbers 33:55; Proverbs 22:5; Matthew 7:16) The thorny crown on Christ’s brow is a picture of the fruit of our sin that pierced His heart. We are “by nature children of wrath” (Ephesians 2:3 NASB) Though we have been made in God’s image, we’re corrupt at the core. The sinless One took on the face of a sinner so that we sinners could take on the face of a saint. Jesus never knew the fruits of sin until He became sin for us (see 2 Corinthians 5:21) When He was crucified, He cried out in a loud voice, “My God, my God, why have you forsaken me?” (Matthew 27:46) Those are not the words of a saint but the cry of a sinner. The crown of thorns could have been made — and should have been worn — by every one of us But it was not, thanks to the greatest gift of all. Why did God give us this gift? God did it for us — just for us — because He loves us. 2. Imagine for a moment that you have decided to do a random act of kindness for a stranger by leaving a $100 bill in a public place (such as a park, a lobby, or a store aisle). After placing the cash where it can be easily spotted, you hide nearby to see who will find it. As you wait, you begin to think about who might receive your gift. What kind of person do you most hope will and will not find your gift? For instance, you might hope a struggling single parent will find it, and that a compulsive gambler will not find it Identify three or four kinds of people you would consider deserving recipients and three or four you would consider less than deserving. If someone in the less-than-deserving category were to find your gift, what thoughts might you zing his or her way? For example, You don’t deserve it. You’d better not waste it. Someone else needs it more. The same way we think about giving gifts is often reflected in the way we think about receiving them Consider the internal response you tend to have when you are the recipient of a gift, whether material or immaterial What might the thought zingers you just identified suggest about your own ability to receive a gift, perhaps especially when it is unexpected? Do you send similar thought zingers to yourself? (I don’t deserve it; I better not waste it; someone else needs it more.) What other internal dynamics sometimes make it difficult for you to truly receive a gift? 3. Max described the period leading up to Easter as a season of gifts — precious gifts that God gave us at the cross, such as the crown of thorns For centuries, Christians throughout the world have used the season of Lent to prepare themselves spiritually so that nothing prevents them from receiving and celebrating the greatest Easter gift of all — the resurrected Christ. The time during which Joel was a prophet was one of great prosperity God had richly blessed His people, but their hearts had grown cold over time. They began to take “God and His blessings for granted. [Their] faith had degenerated into an empty formalism and their lives into moral decadence. ”1 Through the prophet, God pleaded with His people to return to Him with their whole heart. This process of being cleaned out is part of how we return to God with all our heart, which is what Lent is meant to help us do. How would you describe your understanding and experience of Lent over the years? In what ways is it similar to or different from the description you just read? What, if anything, shifts in your perspective when you think of Lent less as a season of guilt or giving something up and more as a time to be intentional about preparing to receive joy and good things from God? The Hebrew verbs translated rend and return in Joel 2:12-13 are images of repentance in action People would rend or tear their garments as an expression of intense grief or in response to a catastrophe.3 To return means to make a U-turn, to go back to the point of departure, to change one’s min. 4 What do these two words — rend and return — suggest about what it means not only to seek reconciliation with God but also to do so with all your heart? Drawing on any previous experiences of repentance and forgiveness (with God or others), what three words or phrases would you use to describe what it’s like to rend your heart? What three words or phrases would you use to describe “the joy of being cleaned out”? 4. A crown is a symbol of honor and authority. In the Old Testament, a crown (or turban) was a mark of consecration for a priest (see Exodus 39:27-31) and a sign of sovereignty for a king (see 2 Kings 11:12). In the New Testament, the apostle Paul acknowledged the crowns given to athletes as symbols of their victory and reward (see 1 Corinthians 9:24-25). The elements of a crown, and the materials used to make it, were often significant. For instance, the number of bands around a crown might indicate the number of territories over which a king had dominion.5 Crowns given to kings were made of precious metals and sometimes adorned with gems (see 2 Samuel 12:30); crowns or garlands given to athletes were made of leaves or other perishable foliage (see 1 Corinthians 9:25). In the video, Max explored the many uses biblical writers make of thorns as symbols for the consequences of sin. Drawing on the examples of crowns in the Bible, what insights do they suggest about the significance of Jesus’ crown of thorns? For example, what might a crown of thorns symbolize about the source of Jesus’ authority as both priest and king? Over what did His crown give Him dominion? The Roman soldiers who made a crown of thorns for Jesus intended it to be not only a means of physical torture but also of humiliation. However, in making it a gift of the cross, God utterly transformed it — a mock crown of pain and shame became a true crown of victory and glory. Consider the implications of receiving or declining this particular gift of the cross — of allowing God to transform whatever has been a source of pain and shame into a crown of victory and glory. What might make it difficult to truly receive this gift? What would receiving this gift require of a person throughout his or her walk with God? 5. In his allegorical novel about heaven and hell called The Great Divorce, author C S Lewis characterizes souls who set themselves against God as those who are determined to refuse the good gifts God constantly offers them. As you anticipate learning more about the gifts of Easter in the remaining sessions of this study, in what ways does this perspective about receiving God’s gifts challenge you? 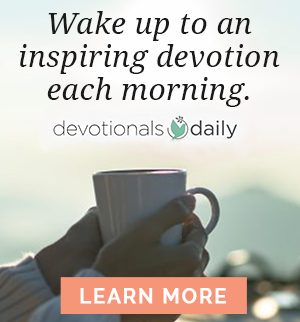 In what ways does it intrigue you or encourage you? 6. In addition to studying together, it’s also important to walk together through Lent — to share our lives with one another and to be aware of how God is at work among us. In each session, there will be many opportunities to speak life-giving — and life-challenging — words and to listen to one another deeply. As you look ahead to the coming weeks of learning and walking together, what request would you like to make of the group? How do you hope other members will challenge you or encourage you? Use one or more of the sentence starters below, or your own statement, to help the group understand the best way to be a good friend to you throughout this study. Richard D Patterson, “Joel,” in The Expositor’s Bible Commentary, Frank E Gaebelein, gen ed , vol 7 (Grand Rapids: Zondervan, 1985), 233. N T Wright, Lent for Everyone: Matthew, Year A (Louisville: Westminster John Knox Press, 2011), 13. Cornelius Van Dam, “qr’,” in New International Dictionary of Old Testament Theology and Exegesis, Willem A VanGemeren, gen ed , vol 3 (Grand Rapids: Zondervan, 1997), 993. J A Thompson and Elmer A Martens, “šwb,” in New International Dictionary of Old Testament Theology and Exegesis, Willem A VanGemeren, gen ed , vol 4 (Grand Rapids: Zondervan, 1997), 56. M G Easton, “Crown,” in Easton’s Bible Dictionary (New York: Scriptura Press, 1893, 2015), 169. C S Lewis, The Great Divorce: A Fantastic Bus Ride from Hell to Heaven—A Round Trip for Some but Not for Others (New York: Macmillan, 1946), 123. How would you describe your understanding and experience of Lent over the years? In what ways is it similar to or different from the description you just read? Have you thought of it as a time to prepare for God’s great gift of love and sacrifice? We would love to hear your response to this Bible study. Join the conversation on our blog!